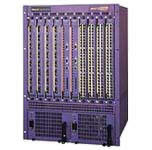 A-Z Network liquidators buy and sell used Extreme networking equipment. Sell us your Extreme's Extreme Black Diamond, Extreme Summit, Extreme Alpine, Extreme Aspen, and ultimate Extreme Switches. We pay companies cash for end-of-life Extreme network infrastructure equipment including Extreme Wireless, Extreme Switches Extreme GBICs. Free up your storage room space! We buy used Extreme equipment. Let us know if you have any surplus data center network hardware that you are looking to sell and we will quote you a fair market value. Please note* Our Extreme products are used, tested and working unless otherwise stated. Not that we will always be as clear as possible in the condition of the equipment but to always consider that we are a used network equipment liquidator and may advertise our equipment as As-Is. Some equipment may have slight cosmetic scrapes, and scratches.